14kt white gold cross pendant. 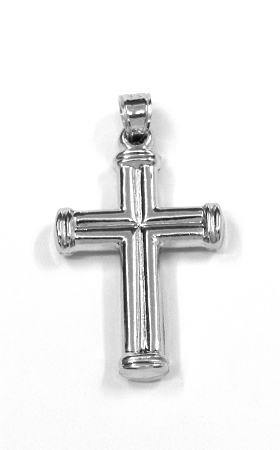 Cross weighs 1.30 grams of 14kt white gold and measures approximately 1 1/4 inches tall. Cross does not come with a chain.